Last weekend, The New York Times reported that senior FBI officials were so concerned about whatever President Donald Trump's true motivation for firing FBI Director James Comey was that they immediately initiated a counterintelligence investigation of the president himself. The Times reported that these officials believed that Trump may have intentionally or unwittingly played into the Kremlin's hands by firing Comey so as to impair the FBI investigation into what efforts, if any, Russian intelligence personnel undertook in attempting to influence the 2016 presidential election and what role, if any, the Trump campaign played in facilitating those efforts. Trump gave three public reasons for firing Comey. He told Comey he was fired because he had dropped the ball in the FBI investigation of Hillary Clinton's use of private servers for her official work as secretary of state by declaring publicly that Clinton would not be prosecuted. He told his Twitter followers that he fired Comey because Comey's a "total sleaze." The origins of criminal and counterintelligence investigations are often murky and at times inscrutable. There are two legal standards for commencing any investigation of anyone. The first is "articulable suspicion." 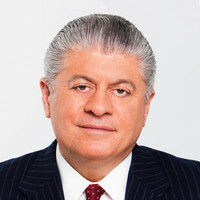 That is a low standard that requires no hard proof of criminal behavior or national security breaches, but it is generally understood to mean that there are reasons that can be stated for employing government assets to investigate a person's behavior and that the reasons are rational and consistent with similarly situated investigations. The other requirement is that the articulable suspicion be accepted by a prosecutor, as the FBI alone cannot commence any investigation. Of course, FBI agents can chase a kidnapper without getting a prosecutor's approval. But in a white-collar case — when the target of the investigation does not present an immediate danger to the public and the evidence of the target's criminality or interaction with foreign governments is not generally known — FBI agents must present the reasons for the commencement of their investigation to prosecutors, who may approve and authorize or decline and reject the investigation. Whatever this investigation was — and for whatever purposes it was commenced — it was relatively short-lived in the hands of those FBI officials who suspected Trump's motivations. That's because Trump fired Comey on May 9, 2017, and Rosenstein appointed Robert Mueller as special counsel to conduct an independent investigation of alleged Russian influence in the campaign and any Trump campaign compliance just eight days later, on May 17, 2017.